A family vacation to Alaska would be a memorable adventure for everyone in the family and a wonderful destination that will being out the child in you. Alaska is one of the most beautiful places you could ever see, with tons of irresistible attractions. From the moment you step foot on the Alaskan soil there will be plenty of things to discover. Your kids will love exploring the fjords and glaciers, as well as midnight basketball games and salmon bakes. Your travel to Alaska does not need to be expensive to be great fun. If you’re planning a family vacation to Alaska, get Frommer’s Alaska. It is a must. This handy guide to Alaska trips is lively written, providing reliable information on things like lodging, food and excursions and a few useful personal observations of the author. 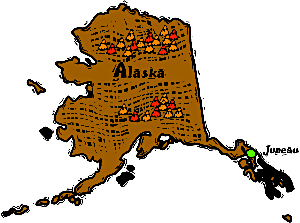 Some of Alaska’s popular annual events are the Iditarod Trail Sled Dog Race that starts in Anchorage and ends in Nome, World Ice Art Championships in Fairbanks, the Alaska Hummingbird Festival in Ketchikan, the Sitka Whale Fest, and the Stikine River Garnet Fest in Wrangell. The Stikine River features the largest springtime concentration of American Bald Eagles in the world. 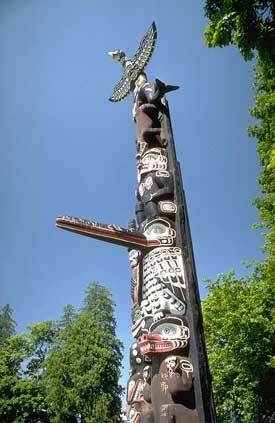 The Alaska Native Heritage Center celebrates the rich heritage of Alaska’s 11 cultural groups. Their purpose is to enhance self-esteem among Native people and to encourage cross-cultural exchanges among all people. The Alaska Native Arts Foundation promotes and markets Native art from all regions and cultures in the State, both on the internet; at its gallery in Anchorage. Do not take a taxi when you want to visit Alaska, rather enjoy Alaska by allowing yourself to understand the local populace. Walk, trek, and discover Alaska on foot. Use the local transport or walk as much as you can. Take a local guide or befriend some of the locals and ask them to show you around. In this way you would be likely to see this wonderful spot and at the same time gained some lifelong friends. Don’t forget that Alaska is famous for fishing – particularly salmon, pike and halibut. If you are looking for some fabulous fishing, this could be your paradise. Check out with the locals to learn about the best spots and once you find them try to make the most of it. Oscar Gill House Bed & Breakfast. Located in Anchorage, this 1913 farm-style house is an ideal place for a family vacation to Alaska. The house overlooks the long strip of dry grass passing for Central Park. Oscar Gill House is welcoming and homey, providing excellent breakfasts. The room costs $85 – $125 per night. Located close to the entrance to Denali National Park, this resort offers rustic-design cabins and modern facilities for the price of about $150 per night. Located in Cordova, this resort is another popular choice among holidaymakers for a family vacation to Alaska. It provides smallish rooms above a harbor-front cafe and bakery. Eagle Heights Bed and Breakfast. This resort is also great for a family vacation to Alaska, providing spacious apartments with big windows facing the harbor. The room costs $125 per night. Food in Alaska can be comparable with the best in the world. A family vacation to Alaska is an opportunity to taste the fabulous cuisine at some of the most popular restaurants. Instead of limiting yourself to the regular style cuisine of USA and Europe menu of star hotels, try out the local patisseries, clubs, pubs or the fresh batch of vegetable people sell on the road sides. fresh sushi, a salad bar, 19 types of vinegar sauce straight from Italy, Scandinavian soup and French wines and candies. No family vacation to Alaska is complete until you go on a tour through Denali National Park & Preserve, one of the most impressive local attractions. The park features the highest mountain in North America, the 20,320 ft tall Mount McKinley. It also includes other scenic landscapes and glaciers. The Alaska Marine Highway ferry system and the Alaska Sea Life Center, are also worth visiting.